Chekka Chivantha Vaanam/Nawab is the story of three brothers hoping to take over their father Senapathi, played by Prakash Raj. But do they understand what it means to sit in Senapathi's chair? Divided by their lust for power and united by their family values, the three brothers struggle to prove themselves as worthy successors to their father's empire. But they have enemies within the boundaries of their home and on the outside too. Internationally acclaimed Indian film maker, Maniratnam is all set to enthrall the movie lovers across the globe with his latest offering “Chekka Chivantha Vaanam “in Tamil and Nawab in Telugu. 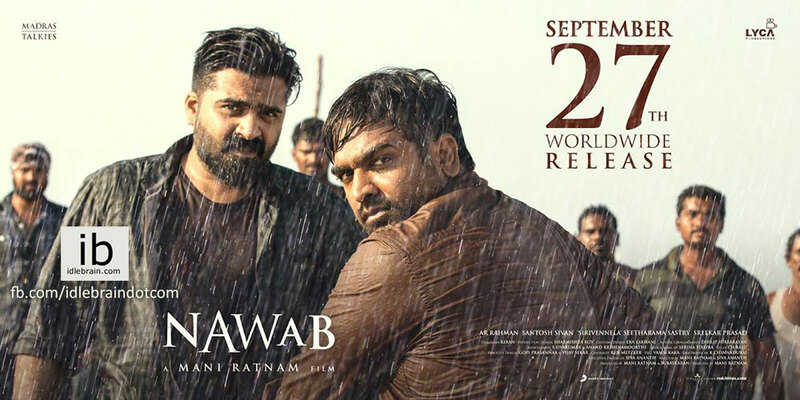 Touted to be edge of the seat gangster thriller, movie boasts an ensemble cast of Vijay Sethupathy, STR, Arvind Swamy, Jyothika , Arun Vijay, Prakash Raj And Jayasudha. Key technical crew includes visuals by Santhosh Sivan and original score by Oscar Winner A.R.Rahman. Songs have started to occupy the top slots on all chartings Indian and abroad. Movie is brought to you by G2G1 international LLC. entertainment and media company based out of Denver and specializing in bringing out the best Indian movie content to USA audience. We will continue to work with top Indian producers and studios in bringing the most awaited flicks to North America region in the best available manner.